Showers of Blessing is a ministry providing a place to shower, get a haircut, and some essential supplies. Every Monday from 8:00 a.m. to 12 noon we are open to guests in the community. We provide hospitality with some light breakfast items. We strive to create a place of community and caring for all who enter the church for this ministry. Showers of Blessing is a joint partnership with Bethel Korean United Methodist Church, Crestwood Christian Fellowship, and First United Methodist Church, along with the support of several community groups and individuals. Our once-a-month ministry to the Country Oaks Care Facility consists of a small group of singers sharing the gift of music with the residents. We have hymnals for everyone and sing mostly familiar hymns that residents will know, as well as some songs of the season. It is a blessing to all who participate on the second Thursday of each month at 2:00 p.m.
Our children look forward all year long to the four days of Vacation Bible School held at FUMC during the summer. They welcome making friends with other children from the community and neighboring churches. Our rooms and hallways are alive with laughter and joy as the children participate in music, lessons, crafts, discovery projects, dinner, and Bible stories. VBS is the highlight of the year for our volunteers as well as the kids. Our youth are also an integral part of VBS by helping in classrooms, with the craft and discovery projects, and acting out our Bible stories. Vacation Bible School is a wonderful way to present Christ in a fun and engaging way, and something that our church family supports and is completely committed too. In Sunday school our children learn from a Bible based curriculum, growing lifelong friendships, playing games, making crafts, and participating in mission projects. Each year the children can attend camp at our local Christian campgrounds and a weeklong Vacation Bible School, as well as participate in children’s choir and our annual Easter Egg Hunt on Easter Sunday. 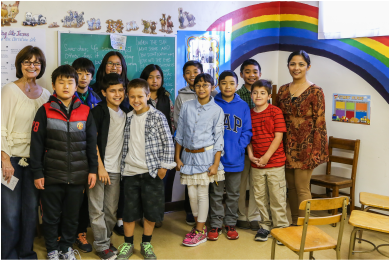 Our Youth participate in a weekly Sunday school class where they learn about the fullness of Christian Discipleship and service to others. They have open and frank discussions about their faith and what it means to be followers of Christ. In addition to learning, they play games, enjoy fellowship with each other, and work on mission and service oriented projects. 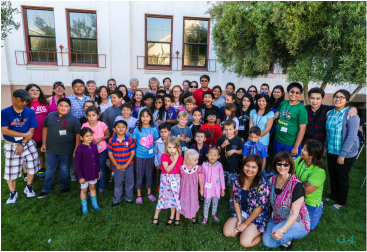 The Children't Choir has been active for 10 years, under the direction of Carolyn Krantz. Jed Beebe accompanies the choir on the piano. It is open to elementary-aged children. We sing for the 10:30 worship service approximately 6-7 times a year. We follow the school year, usually ending on Mothers' Day. We rehearse on designated Sundays in the Sanctuary, right after the end of the 10:30 service. The rehearsals are brief because the children have a "rehearsal CD" so they can practice the songs at home. They wear white choir robes and look quite angelic! love and support of our church family. 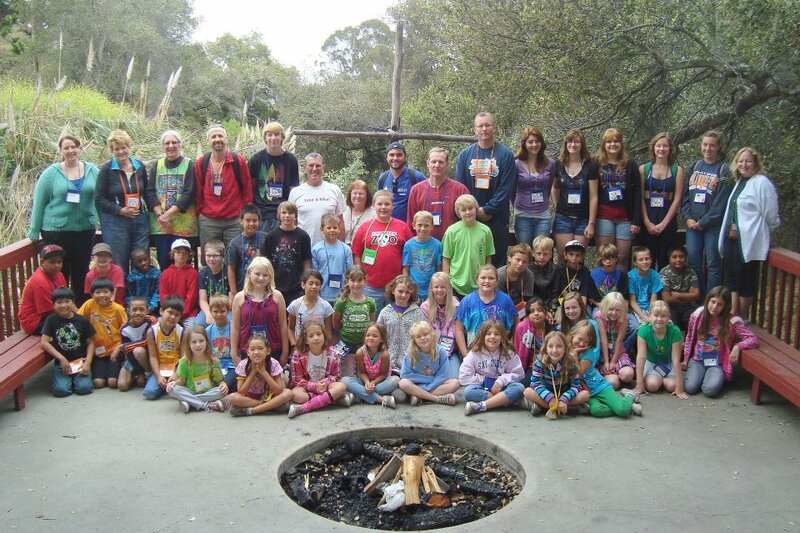 Every summer the children and youth at FUMC enjoy the wonderful opportunity of attending Camp Arroyo Grande. The camp is located in the nearby town of Arroyo Grande. This camp features group cabins, a swimming pool, and beautiful park like grounds. 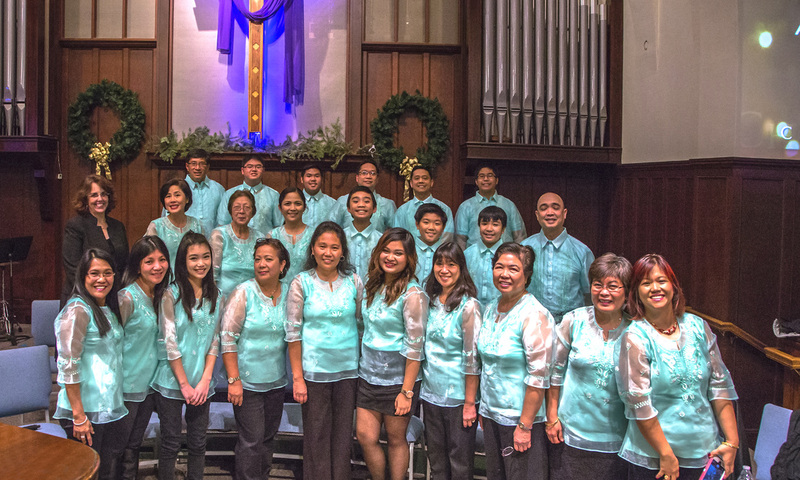 The Contemporary Service features the Sounds of Hope Choir also known as the Filipino Choir. The choir has been serving FUMC for more than 4 years! They focus mainly on contemporary choral music, but they also bring in some original Filipino choral music. They perform every 4th Sunday of each month. In addition, the Sounds of Hope Choir blesses the church family with a Christmas cantata during the Christmas season!